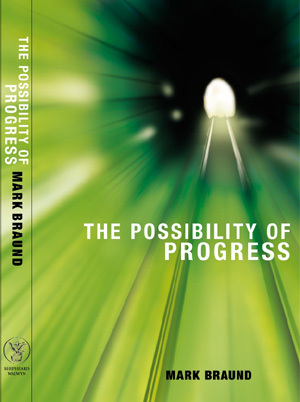 It’s now six years since Shepheard-Walwyn published my book, The Possibility of Progress. A good time, perhaps, to evaluate what, if any, progress has been made in the intervening years. Certainly a great deal has happened: we’ve had the biggest financial crisis since the 1930s, leading to a global recession more severe than most people thought possible. In the process, the inherent failings of the banking system have been laid bare. Ideal conditions, you might think, for a successful strike at the shortcomings of the current economic system and the root causes of injustice. But no: instead, the aftermath of the crash has been dominated by a remarkably successful campaign by supporters of the current order to deflect attention from the real causes of the crisis through a depressingly familiar process of petty political point scoring. Politicians of all parties are to blame for the current crisis: all of them supported, and continue to support, the economic arrangements that delivered us to this point. And most economists are similarly culpable. In response to the most severe test of their theories in a generation, practitioners of the dismal science have offered only the miserable spectacle of a debate between out-of-fashion Keynesians and unabashed supporters of the thoroughly discredited neo-classical model; neither of which group acknowledges the structural failings of the current economic order, or the underlying causes of the crisis. Not that such people lack for intellectual rigour, only that their ambitions for the discipline of economics are unnecessarily limited. These two quite different schools of thought are united in one respect: neither believes there is any possibility of changing the underlying economic framework. In their view, there is no alternative to a regime which taxes effort and enterprise but leaves unearned wealth, like the rent enjoyed by landowners, untaxed. They don’t begin to discuss the possibility of overhauling the system of money issue that gives so much control over the economy to privately owned banks, the negligence and ineptitude of which have been all too visible in recent times. And they never challenge the activities of those who indulge in speculation in currencies, commodities and invented financial products, in the process undermining the ability of the financial system to channel much needed investment into the real economy. But it’s all very well having a strong sense of what needs to change about the economy in order to create a more just and inclusive society. Those of us who believe in the possibility of progress will struggle to attract widespread support until we better understand why it is that so few people – people who stand to gain tremendously from a new world order – remain so disinterested in politics, in economics, and in the possibility of transformative social change. This is why, as well as examining the economic changes necessary to usher in a better world, the book investigates the factors that cause people to take an interest in these subjects. Why is it that some people develop a strong sense of social conscience and a desire to change the world, while others, regardless of the quality of their life, choose not to engage? It’s a difficult question; one for which I don’t have any definitive answers, but by putting the question, hopefully a constructive debate is set in motion. And if a few more people start to consider both the merits, and the possibility, of making progress towards a more just and inclusive society, then the world is already a better place. In the meantime I shall continue trying to find the answer over at my website, www.markbraund.com.